Indonesian Android users and music fans, we've got some great news for you today. If you were heartbroken last month by the demise of MixRadio, one of the most popular free music streaming services in your country, and you never liked Deezer, and you hated having to pay for Apple Music because it didn't offer any free tier, you'll be happy to know that there's a new player in town and it's bringing all the big guns to the fight. 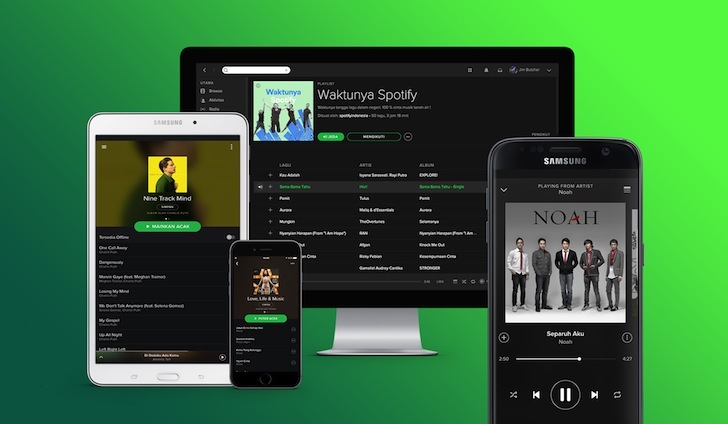 Spotify is launching today in Indonesia with a catalogue of more than 30 Million songs including Indonesian music (with playlists curated by local experts) and international hits. Spotify Running has been available for quite some time now, first on iOS, but also for Android users who signed up for beta updates. These folks got to try things out back in June. Now Spotify has officially announced the feature's availability for regular premium subscribers with Android devices. This makes Android's launch a full four months after Spotify Running came to Apple's mobile platform. As for whether this was a long wait, well, we've certainly seen longer. Spotify Running prompts you to select a tempo when you start running. It will try to provide music that matches your adrenaline level and music preferences at the same time.